"I Feel Bad," an Amy Poehler-produced series, is scheduled to debut on NBC in October, with two preview episodes slated to air Sept. 19. 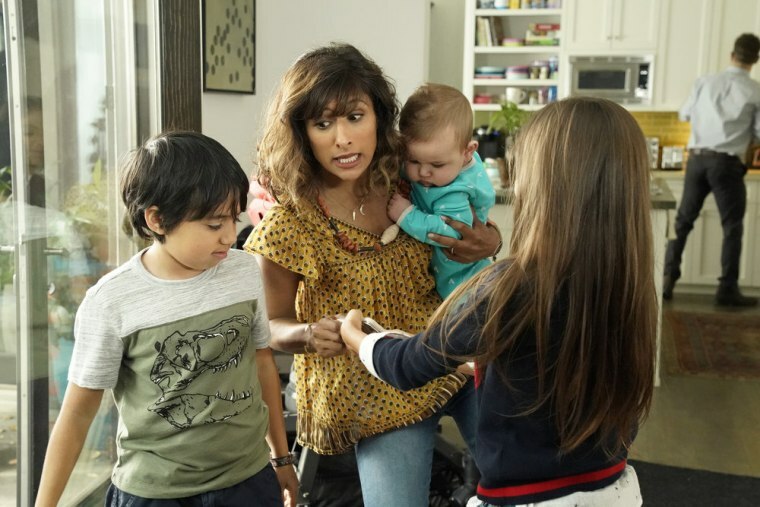 The Amy Poehler-produced series, which is scheduled to debut on NBC in October, with two preview episodes slated to air Sept. 19, brings viewers into the world of a woman named Emet — a mom, boss, wife, friend, and daughter who is far from perfect and trying to balance everything going on in her life. “The voice of Emet felt very much like my voice,” Blue said. “I felt like that was me on a page." What made "I Feel Bad" even more special, Blue said, was being able to bring her own personal background to Emet's story. The role wasn't originally written with an ethnicity attached to the character, but after Blue, who is Indian American, was cast, new elements were added to the script. "By casting me, you’re inherently bringing a different perspective to the story, and I think what’s really cool about that is having someone like Aseem Batra heading the ship because she certainly understands that perspective and brings total authenticity to it without it necessarily being hammered in," Blue said. Batra, executive producer of the show, said that when auditions began, they wanted to keep the casting open to woman of every ethnicity, and that it was a coincidence that Sarayu ended up getting the part. Batra said the most essential element in the show is motherhood and how the series is looking at it from a different perspective. Batra recalled seeing other shows where mothers are often times portrayed as perfect and one dimensional. According to a 2017 report by the Center of the Study of Women in Television and Film at San Diego State University, female characters were more than likely than male characters to play personal life-oriented roles such as a wife and mother. 38 percent of females played a personal-life orientated role while only 29 percent of males played those roles. Male characters were more likely than females to play work-oriented roles such as business executive or attorney with 60 percent of males portraying those roles while 48 percent of females played work-oriented roles. Blue added that she wants anyone watching this show to feel as though they’re being accurately represented. Follow NBC Asian America on Facebook, Twitter, Instagram and Tumblr. CORRECTION (Sept. 19, 2018 11:49 a.m. ET): An earlier version of this article misstated the name of Sarayu Blue's character. It is Emet, not Emmett.